Kent shares the knowledge he’s amassed over his career with his students as a faculty member at Singularity University. He leverages his knowledge to help cities looking for scalable solutions to urban problems as the Chief Science and Technology Officer of Fastrack Institute. He is also a co-founder and Chief Scientist of the ExOFoundation. He is a co-founder of the blockchain accelerator FluidChains. An empathetic speaker, capable of conveying complex ideas with inspiring and relatable narratives. An entrepreneur completely dedicated to empowering people with the power of technology. on how to become data-driven at scale. Attract and develop data science talent, build world-class data operations teams, create new data-driven products and services. on Data Science, Blockchain, Artificial Intelligence, Exponential Organizations, Cloud Computing and more. that can help with cost reduction, community growth, transparency, and creation of new possibilties for your company. Kent actively coaches and advises companies around the world on HOW to apply cutting processes and and create scalable systems from advancing technologies at scale. Informed by decades of experience, Kent advises companies to transform their organization’s relationship to data implementing it as a strategic asset and a powerful driver of transformation and innovation for any organization. TRANSFORM ON YOUR TERMS BEFORE SOMEONE ELSE SETS YOUR AGENDA. Kent empowers companies become “exponential organizations” thus improving the scalability and agility of an organization’s people, products, processes and technology. Coming soon! A new book based on over a decade of real world experience building data-driven products and services. Kent has distilled a disruptive framework called Data Activation(tm) that deeply empowers organizations and their teams to leverage the transformative power of data at scale. 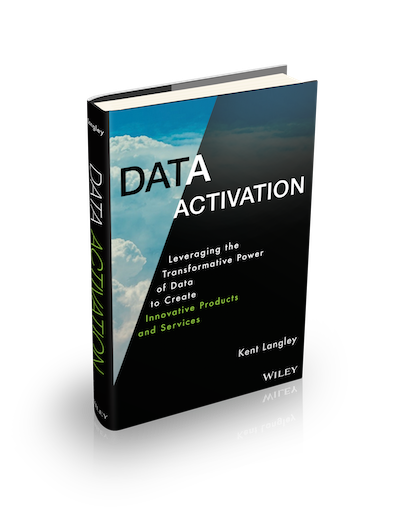 The data activation process helps organizations leverage the transformative power of their own data. The book is coming soon! Please register to be kept up to date on the progress of the book.